The vine has been cultivated in Alsace since Roman times, a tradition carried on during the Merovingian and Carolingian periods during which the restorative and pleasure-giving qualities of the wines were recognised. 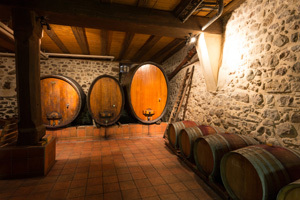 During the 10th Century, winemaking was taking place in nearly 160 different areas and by the 16th Century, the vineyards of Alsace were at their peak - famed for the quality of their wines throughout the Holy Roman Empire, the British Isles and the other countries of northern Europe. The Thirty Years War of 1618-1648 put an end to this prosperity, a calamity further exacerbated by further decades of political upheaval and the ravages of disease culminating in the Phylloxera outbreak of the 19th Century. The renaissance of the region’s vineyards began following the First World War of 1914-18. 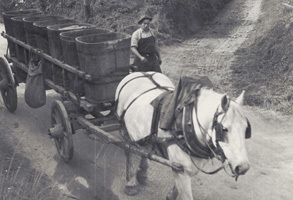 Wine-growers thereafter focussed on a “quality-first” approach, a strategy which they reinforced in the years following the Second World War (1939-45) through demarcating the constituent vineyards of the region and by enforcing new production rules. 1975 saw the creation of the Alsace Grand Crus appellations as a result of which the finest terroirs were recognised. In 1976, the sparkling Crémant d’Alsace obtained its own Appellation d’Origine Contrôlée (AOC) classification. Today, the Alsace vineyard is approximately one hundred kilometres long, comprises one hundred and nineteen communes and totals over fifteen thousand hectares of vines. As to the categorisation of the wines produced, Alsace AOCs account for 74% of the production, Crémants 22% and the finest Grands Crus, 4%.